As the only flying mammals in the world, bats can make an impressive claim to fame. Eight species of these nocturnal creatures live in Ontario. Agile and predatory, our bats are capable of extremely sophisticated bio-sonar, also called echolocation, meaning that they emit pulses of sound and can detect echoes bouncing back from objects, including their prey. 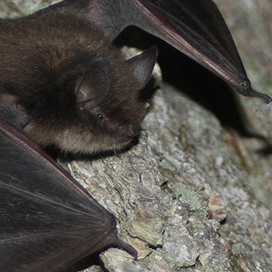 As insectivores, Ontario’s bats are beneficial to humans. A lactating little brown myotis bat needs to consume her full body weight in insects every night, equivalent to some 5,000 mosquitoes. By consuming myriad moths and other flying insects, bats help to protect us and agricultural fields from many pests. A recent study in the US estimated agricultural savings of 21.9 billion dollars. Comparatively speaking, bat babies are giants. A newborn little brown bat weighs an astonishing 25 percent of its mother’s weight. In comparison, a human baby weighs about 6 percent of its mother’s weight. Offspring are born in late spring and early summer, in nursery colonies which are usually found in tree cavities, attics, tree branches or bat boxes. Watching a bat’s acrobatic aerial maneuvering can be mesmerizing, but identifying them by species is challenging. 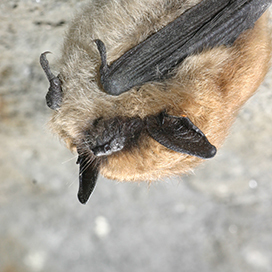 Using a bat detector, which lowers frequencies to make bat calls audible to human ears, helps with identification, although it is not always definitive. 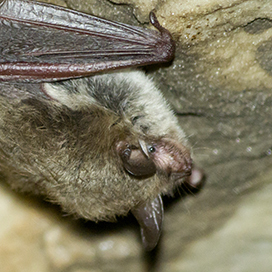 Five out of the eight species of bats found in Ontario hibernate in caves and mines over winter. These non-migratory species are the ones being affected by the devastating fungus (Pseudogymnoascus destructans) which causes white nose syndrome. Read about white nose syndrome (WNS). Size: Ontario’s largest bat, but weighs less than a chipmunk. Length: 10–15 centimetres (10–15 centimetres). Wingspan: 34–42 centimetres. Weight: 19–35 grams. Description: White-tipped hairs give the appearance of hoarfrost contrasting with the grey body fur; yellowish or toffee coloured hair around throat and face; short and rounded ears black at the edges; tail membrane also furred on the dorsal side. Habitat: In Ontario hoary bats are found in coniferous or deciduous forests along edge habitat. They roost near the tops of trees and forage in clearings near sources of water. Range: A widespread species found throughout North America south to Chile and Argentina in South America and indigenous to Hawaii; in Ontario ranges north to the southern tip of James Bay. Bat fact: To meet the needs of its nursing twins and its own energy requirements, a lactating female may hunt for up to six hours, which is 73 percent longer than its usual foraging time. Size: Medium-sized bat. Length: 8.5–12.5 centimetres. Wingspan: 28–33 centimetres. Weight: 7–18 grams. Description: A colourful species distinguished by its yellowish orange to red fur; on some individuals, white-tipped hairs result in a “frosted” appearance; males usually brighter than females; back of the small rounded ears, face and tail membrane covered in fur. 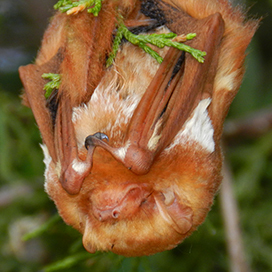 Habitat: In Ontario eastern red bats are found in coniferous and mixed forests. They prefer to roost at the top of trees suspended from branches. Range: South, central eastern and western Ontario north to James Bay; from the Maritimes to Saskatchewan in Canada and into the eastern United States. Bat fact: Like the two other migratory species in Ontario (hoary and silver-haired bats), eastern red bats seem less susceptible to WNS. This may result from being less gregarious, as they migrate south in late summer or early fall and roost in trees rather than congregating in cool, damp caves which favours the WNS fungus. Size: Medium-sized bat. Length: 9–11.5 centimetres. Wingspan: 26–31 centimetres. Weight: 6–14 grams. Description: Dark brown to black all over, except on dorsal side where white tipped hairs give a “frosted” appearance; tail membrane partly furred; ears short, naked and black. Habitat: Forested areas adjacent to water for foraging. Silver-haired bats roost under loose tree bark alone or in small groups. Range: Throughout southern and central Ontario and westward to Lake of the Woods; widespread throughout temperate regions of North America. Bat fact: Field studies of silver-haired bats have revealed a geographical separation of the sexes — females, even when pregnant, migrate farther north while males remain in the vicinity of the Lower Great Lakes. Size: Medium-size bat. Length: 9–13 centimetres. Wingspan: 32–39 centimetres. Weight: 11–26 grams. Description: Long, sometimes wavy, dark brown fur evenly coloured across the back with lighter undersides; face, ears and wing membranes black and unfurred; ears short. Habitat: Big brown bat habitat varies including wooded habitats near water and urban areas. Range: Common and widespread; found in Ontario around the Great Lakes and west to Manitoba; also ranges over most of North American continent from Alaska to northern South America and into the Caribbean islands. Bat fact: Big brown bats are a hardy species, arriving late at hibernation sites and preferring cooler and drier locations near the entrances of caves, mines and anthropogenic structures. 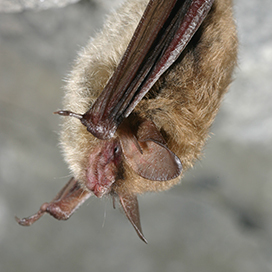 In summer, big brown bats remain relatively close to their hibernating sites (within 50 kilometres). Size: One of Ontario’s smallest bats. Length: 7–10 centimetres. Wingspan: 19–26 centimetres. Weight: 5–8 grams. Description: A drab golden to greyish brown appearance, but back hairs tri-coloured with dark brown at the base, yellowish brown in the midsection and dusky grey at the tips; ears, nose, wing and tail membranes dark brown, except contrasting reddish brown forearm. Habitat: Near edges of forests. 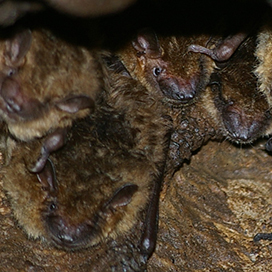 Tricolored bats roost in rock crevices, caves, buildings and tree foliage. Hibernate in caves or abandoned mines. Bat fact: Eastern tricolored bats lose up to 30 percent of their body mass during hibernation between October and April. During spring and summer, they are efficient predators, catching an insect every two seconds and, in a mere 30 minutes, are able to increase their body mass by 25 percent. Size: Small-sized bat. Length: 6–10 centimetres. Wingspan: 21–27 centimetres. Weight: 5–14 grams. Description: Glossy brown fur across the back, light fur chin to tail. 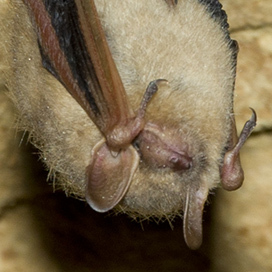 Little brown myotis bats are a part of the difficult-to-identify Myotis complex. The complex comprises three species (eastern small-footed, northern long-eared myotis, little brown myotis bat). These species are not distinguishable using a bat detector, so they can only be identified by morphological characteristics. Distinguishing characteristics include shorter, thin rounded fleshy projection at opening of ears and several long hairs that extend from its feet to its claws. Habitat: During the day little brown bats roost in trees and buildings. They often selects attics, abandoned buildings and barns for summer colonies where they can raise their young. Little brown myotis bats, big brown bats and tricolored bats are the only three species in Ontario that regularly make use of buildings for their maternity colonies. Range: From southern Ontario, north to the tree line. Wide-spread in Canada and the United States, into Mexico. Bat fact: Before the arrival of WNS, the opportunity for a long life seemed within reach of bat offspring who survived their first winter hibernation. 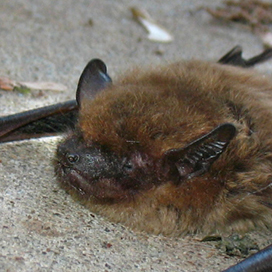 An adult male little brown myotis bat, banded in southeastern Ontario, survived for a record 31 years. Size: Small-sized bat. Length: 7–10 centimetres. Wingspan: 21–26 centimetres. Weight: 6–9 grams. Description: Dull yellow-brown fur with pale grey belly, long rounded ears. 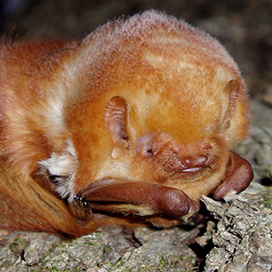 Similar to the little brown myotis bat, except fleshy portion covering ears is pointed and longer. Hibernates from October to March, mostly in caves or abandoned mines. Habitat: Forests including boreal and mixed; northern long-eared myotis roost in buildings, under loose bark and in tree cavities. Hibernates from October to March, mostly in caves or abandoned mines. 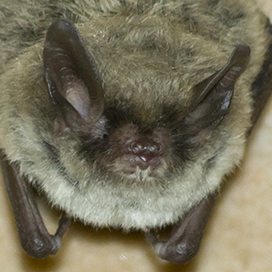 Range: In Ontario, Northern myotis is found across the southern regions of the province and along the north shores of lakes Huron and Superior. There are also occasional records from further north, including one from Moosonee. Globally, they are found throughout Canadian provinces and territories and the mid and eastern states in the U.S. 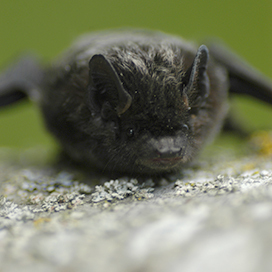 Bat fact: Approximately 40 percent of the northern myotis’ global range is in Canada. Size: Smallest bat in Ontario. Length: 7–9 centimetres. Wingspan: 21–25 centimetres. Weight: 3–7 grams. Description: Yellowish brown to coppery brown over the back and top of head; buffy to pale grey underneath; black around the muzzle and eyes creates a “masked” appearance; ears, membranes of the tail and wings dark brown and naked. Habitat: In spring and summer, small-footed myotis roost in a variety of habitats including rocks, rock outcrops, buildings, under bridges, in caves, mines or hollow trees. In winter, they hibernate in caves and abandoned mines in deciduous and mixed forest regions of Ontario and Quebec. 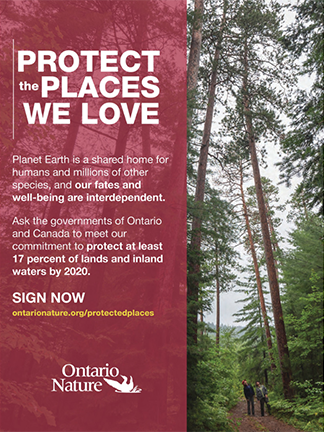 Range: In Ontario, spotty distribution south of Georgian Bay to Lake Erie and east to the Pembroke area with sightings in Espanola, Lake Superior Provincial Park and Bruce Peninsula. They have been found in the Appalachian region of the United States. 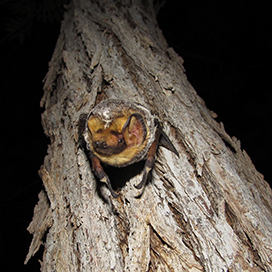 Bat fact: This species is susceptible to decline as forests are logged around hibernation and foraging areas. The survival rate for female eastern small-footed myotis bats appears to be substantially lower, at 42 percent, than that of males, at 76 percent. This difference may be due to the demands of reproduction, the need for females to remain active for longer periods each day, and to their having less time to accumulate sufficient body mass for hibernation. 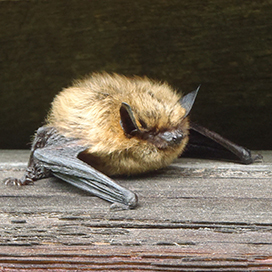 Small-footed bats are the rarest bat in Canada. Habitat loss, pesticide use and deaths from collisions with wind turbines are some challenges for Ontario’s bats. Nothing compares, though, to a disease that has decimated the populations of several of our species. 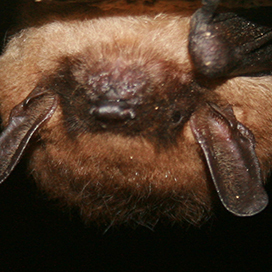 First documented in New York State in the winter of 2006–2007, WNS often causes whitish fuzz on a bat’s nose. 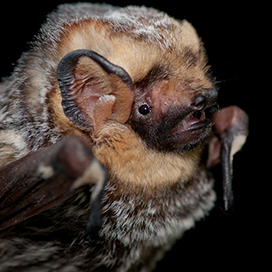 Caused by a fungus (Pseudogymnoascus destructans), it infects skin on the muzzle, ears and wings of bats. White nose syndrome interferes with hibernation, arousing bats during cold weather which decreases vital energy stores, as well as causing negative physiological changes resulting in dehydration and weight loss. Probably originating in Europe and transmitted here by humans, WNS continues to spread westward and has been observed in 33 states and 7 provinces (summer 2018). Recently, observed cases in Washington State suggest that most areas in western Canada and the western US will soon be affected. Millions of bats have died from WNS, and it has been called the most precipitous decline of North American wildlife within the past century. 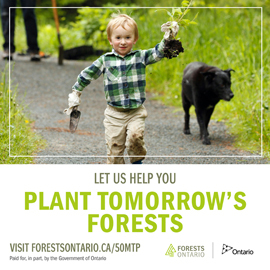 Of Ontario’s bats, populations of little brown myotis bats, northern long-eared myotis and tricolored bats have been so affected that these are now considered provincially and nationally endangered, while the eastern small-footed myotis is considered endangered in Ontario. 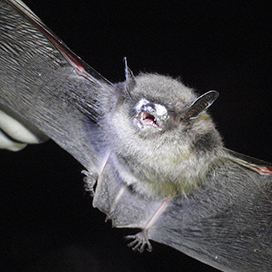 Silver-haired, eastern red and hoary bats do not seem to be susceptible to WNS, while big brown bats may be affected but have shown considerable resistance to the disease. 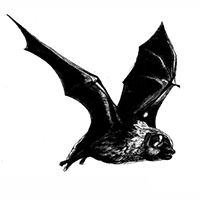 As WNS continues its relentless march throughout North America, one hope is that surviving bats may develop a resistance to this disease as is shown in European species. 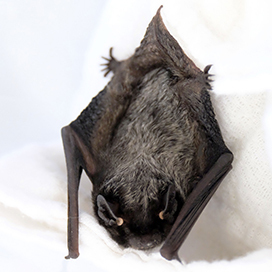 A recent study of little brown myotis bat colonies in New York State, the epicentre of WNS, has shown a resistance to the disease, although researchers caution that other affected species may not be similar. Another recent discovery shows the fungus to be damaged by UV radiation, although irradiating bats and caves seems a difficult task. Learn and teach about bats. (Many nature clubs, organizations and parks run bat talks or outings.) More WNS information can be found at: whitenosesyndrome.org and www.cwhc-rcsf.ca/wns.php. In Ontario, the Canadian Cooperative Wildlife Health Centre is working with the Ministry of Natural Resources to monitor spread and impact of WNS.